Optimizing business management resources in a way that best supports the business in achieving its goals is the topic of this section. You want to make clear to the reader what kinds of resources you have available, and how you intend to leverage in support of your new endeavor. Business resources are not limited to the assets listed on the company’s balance sheet. Resources come from many areas inside and outside the organization. To the level you are able to identify all business management resources and articulate how you will use those resources to your advantage, it will demonstrate to potential investors or lenders how effective you will be as a leader. Three primary business resources include suppliers, service, and manufacturing. Suppliers: Who are your suppliers? How close in proximity to your business are they located? Have you already negotiated terms? If so, include details about the financial arrangement. If a supplier goes out of business do you have alternative suppliers? "Encourage business partners to teach you what they know. Don't just pay them to do things for you. Learn from everyone around you." Service: What are your plans to ensure that your business consistently delivers an outstanding customer experience? How will you teach and coach employees to deliver service to their customers? How do you monitor quality of service? How will customer complaints be addressed? Will you ask for customer feedback on a regular basis? If so, how will this be done? How do you make your service(s) rise above that of your primary competitors? Manufacturing: If your business manufactures a product(s), describe the process within the facility and any unique machinery or equipment that is required. However, DO NOT reveal any proprietary information unless the reader has signed a Non-Disclosure Agreement (NDA). How will you deliver your products to market? Do you deliver directly to the customer (retail), or do you sell wholesale? List the major operating equipment that your company owns or leases. Include a brief description, age, condition and value. Identify other outside resources used or needed in order to fulfill customer expectations. Describe your quality control procedures. If you do not have quality control procedures, outline your plan to put measures into place. This helps lesson risk to the organization, which is always important to the reader. Explain the availability of skilled labor needed to meet the needs of the organization. Finally, include any sort of outside professional counsel that you receive and have regular access to as a business management resource. 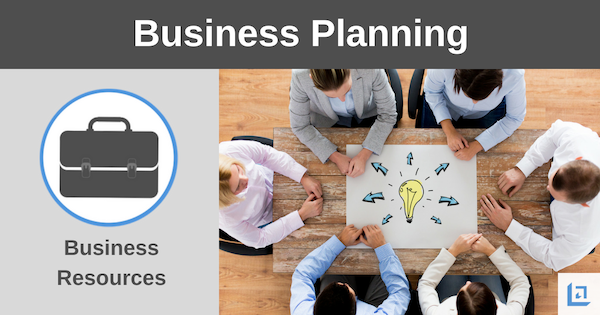 If your accountant, lawyer or other business partner happens to have a background or expertise in your particular type of business, this can be a tremendous resource to you and the organization, so it's definitely worth pointing out in your business plan. "A good leader surrounds himself with people who complement his own skills." Commit to doing what you are meant for. What does your heart tell you? If you are meant to study law, then you will continually feel the pull to study law. If your passion is to cure the sick, then you must study medicine. Doing something simply because you fall into it or because that is what your father did, and his father before him, should not be the reason for you to do the same thing. Nor should you allow yourself to be surrounded by others who are not following their true passion. We each become a product of our environment. The people we regularly associate with provide a natural pull on us. They either pull us UP, or they pull us down. Unfortunately, too many people do not even realize they have a choice of their occupation. They grow up in a sheltered area, with very little in the way of outside influences, and as a result they do not begin to think of the many other possibilities available to them. At some point in life, the light bulb goes off and they realize that there is more to consider, but then they feel shackled by the lack of early education or a lifelong routine that has given birth to a fear of failure if they were to try something outside of their comfort zone. If this describes you, then it's time you take fear by neck and break it! Take the first step forward to walk outside your area of comfort and begin to take on a new challenge. Get determined to learn and grow and live a more interesting and less predictable life. As you develop your plan for success, be certain your passion shines throughout the journey. 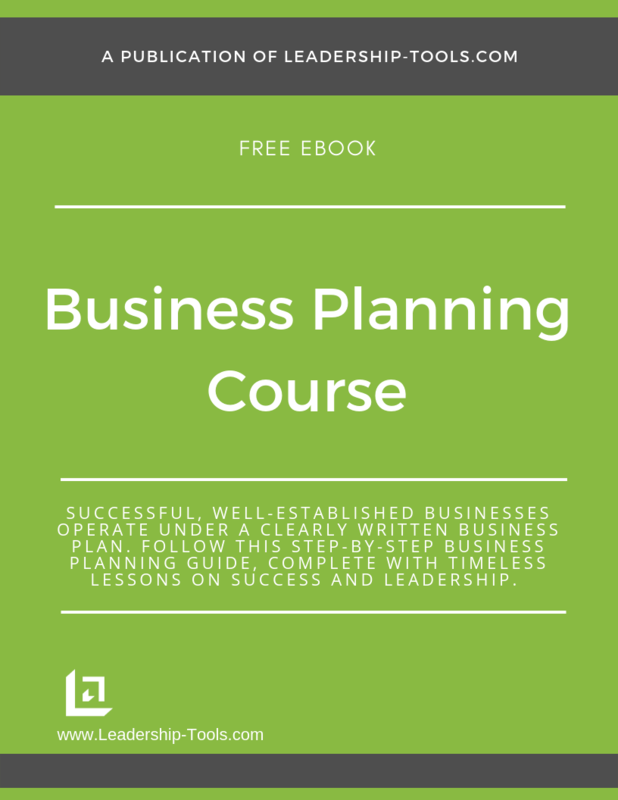 To download our free Business Planning Course/eBook, complete with details on how to best leverage your business management resources and more. 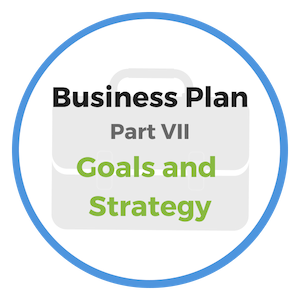 Use our free Business Plan template and step-by-step instructions for planning the future of your business. Simply subscribe to our free newsletter. You will immediately receive a password that grants access to our entire leadership tools library.